Grab the chips, the dip, and the couch, because all of your favorite games are on! What do you do when you’re traveling, though, and want to catch the game with a bunch of other fans? We have the answers right here with four different locations to pick from for watching the game. This sports bar and grill in Pigeon Forge is open from 11 a.m. until midnight Monday through Sunday. They serve up American favorites like Angus beef burgers, jumbo wings (16 flavors to choose from), and hot dogs. They have 20 flat-screen TVs onsite, so you’ll have a great view no matter where you sit at Blue Moose Burgers. With nine different beers on tap and several craft brews, you’re not going to leave hungry or thirsty! Located in Pigeon Forge, J.T. Hannah’s roots go back to the days when J.T. operated a warehouse and stockyard and created a lunchroom where he served home-cooked meals for his staff. Eventually, he closed down his storeroom business and opened his “lunchroom” to the public. Try the Black Bear Burger (no bears were harmed in the making of this delicious burger) or award-winning St. Louis spare ribs as you watch the game in the Taproom surrounded with decor reminiscent of the 30s, just like when J.T.’s opened to the public. Check out their website for their full menu and beer list. If you need a place to watch the game, this microbrewery, open since 1996, has several locations in the Smoky Mountain Area. The flagship store is planted on the southwestern edge of Gatlinburg, TN. While their address is listed as being on the Parkway, you’ll need to turn in between Savage Garden Road and Leconte Creek Road to find it. 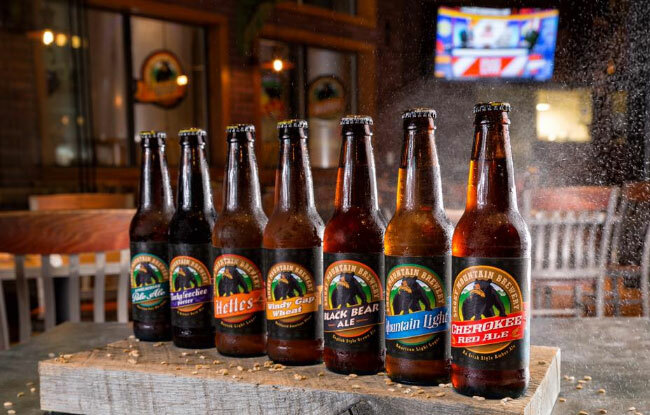 You can also visit the Smoky Mountain Brewery in Knoxville, Maryville, and Pigeon Forge. Hours vary by location. With big screen TVs, craft beer, and NFL Sunday Ticket, you’ll feel like you’re surrounded by family, and it doesn’t matter what team you’re rooting for. Besides the game day experience, they also offer entertainment on-site. Check out their website for more info. Located off the main restaurant, this is a dog-friendly sports bar. As long as your pooch is up-to-date on his or her Rabies vaccine, is tethered with a leash, and has a collar, come on in through the special entrance! 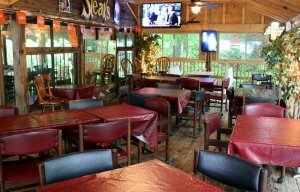 The Sports Porch is heated and enclosed and has flat screen HDTVs. 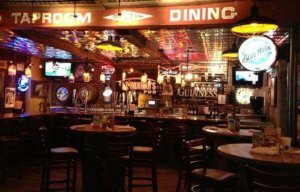 The bar can be rented out for large groups or special events, so you might want to call ahead in advance of your visit. Learn more by visiting their website. We hope you liked our list. If you know of other great sports bars or places to watch live sports and other games on TV in Pigeon Forge, Gatlinburg, and surrounding areas, please comment below. If you think someone else might benefit from this post, don’t forget to share it! 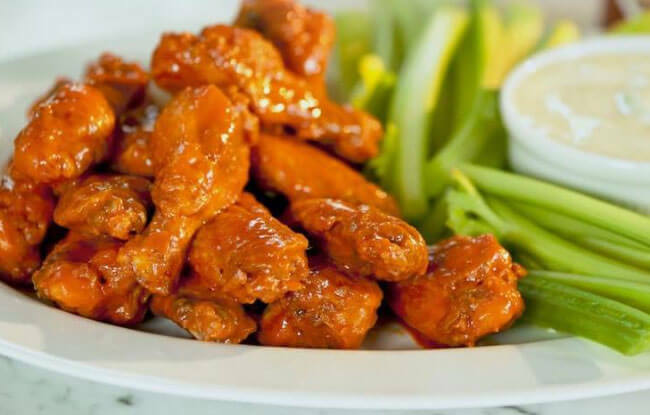 Blue Moose Burgers & Wings serves a variety of casual American fare from the juiciest Angus beef burgers, award winning jumbo chicken wings in 16 different flavors, hot dogs, salads and ice cold beer!